When it’s cold outside and you’re in need of some relief, this hot ginger apple cider is a wonderful companion to spend some time with. 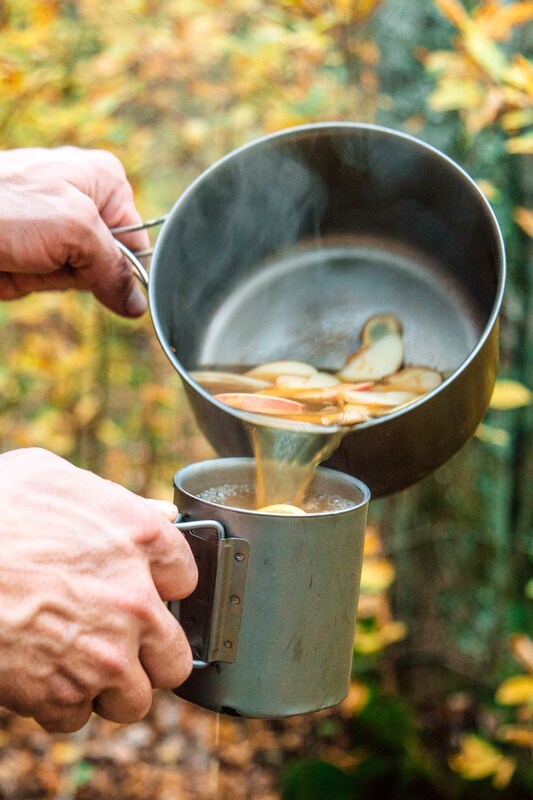 Hot apple cider is a classic cold weather elixir. 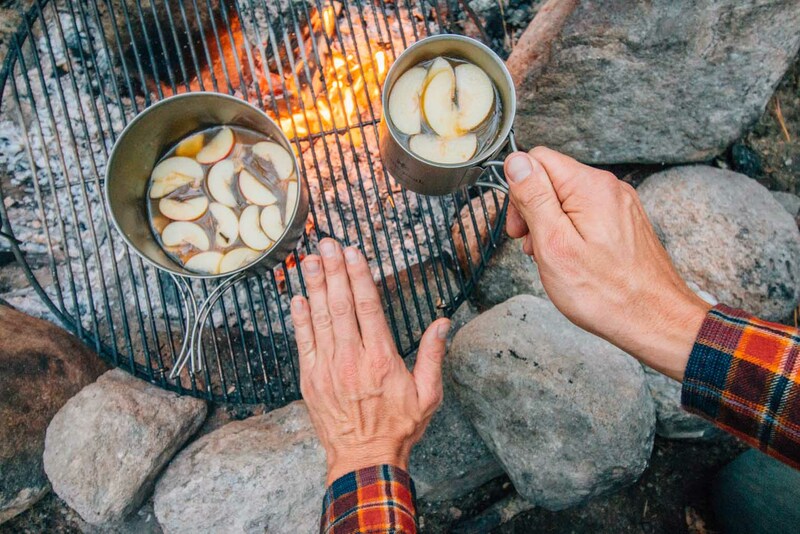 The smell, the flavor, the temperature: it’s essentially liquid warmth. But this twist on the classic recipe takes its warming qualities to a whole new level. 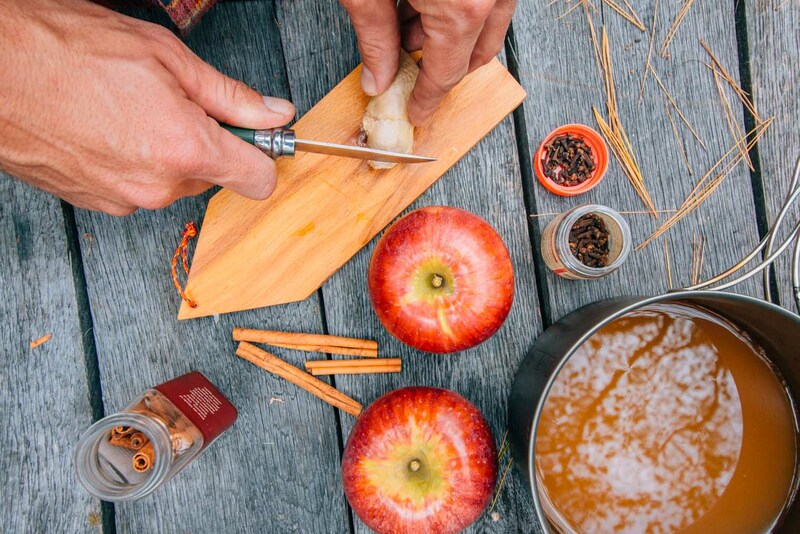 This cider recipe warms you in three ways. The first (and most obvious) is that the drink is served hot, warming you from the inside out. Next, we’ve added slices of raw ginger, cinnamon, and cloves that combine to create a slow warming spice that intensifies the longer it steeps. Lastly, we add a shot (or two) of bourbon whiskey to give this cider that special extra kick to melt away the cold. This drink is perfect for cooler evenings hanging around the campfire or cozy evenings in the cabin. It’s especially easy to scale up, so if you’re looking to warm up an entire group, all you need is some more ingredients and a bigger pot. So when the temperature starts to drop, heat up a batch of this ginger apple cider and stay toasty all night long. ‣ Apple, ginger, and cinnamon are natural flavor affinities. Together they build on top of one another to create a flavorful blend that’s crisp, spicy, and fragrant. This mixture produces a warming and comforting effect that can be irresistible on a cold day. ‣ The longer the ginger slices steep, the spicier your cider will become. So if you like it spicy, it might take a little bit for things to heat up. But if you like to keep it mild, you can start removing some of the ginger slices before things get out of control (and if you wait long enough, they absolutely will). 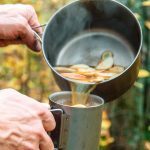 ‣ You can make your cider either on a stove top or over a campfire, but the key is low heat. 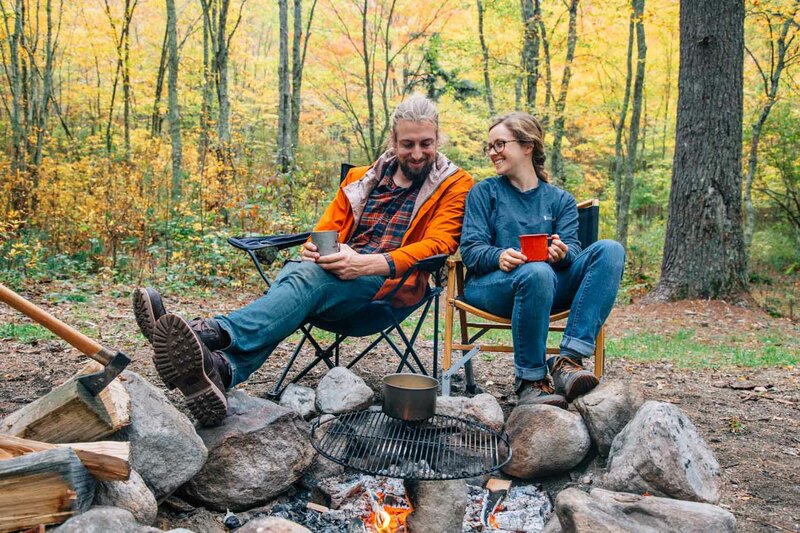 On a stove, it might be easy dial down the flame, but on the campfire, you’ll want to position your pot so you can achieve a nice low simmer. A rolling boil will shred apart the apples and ginger, resulting in pulpy cider. Slow and steady is the way to go. Add all the ingredients to a small pot or saucepan on the stove. Bring to a boil over medium-high heat, then lower the heat and simmer for 10 minutes. Divide between two or three mugs, being careful to strain out any of the spices, add the whiskey, and enjoy with good company. yumm!! Love hot toddy style drinks after snowboarding!! 😀 Sounds good!